HAVE YOU BEEN BITTEN BY SOMEONE ELSE'S DOG? If so, you should seek the counsel of an experienced dog bite attorney. Retaining The Law Office of Dominick Angotta means you will have a qualified dog bite lawyer on your side every step of the way. We will navigate you through the complex legal process and work towards achieving the best possible resolution. Above all, we will fight on your behalf, be a proponent of your rights, and aggressively seek fair compensation for your injuries. Connecticut enforces a strict liability statute that can be found in Connecticut General Statute Section 22-357. It states that a pet owner can be found responsible for the damages caused by their pet even if they did not know that it was potentially aggressive and capable of hurting someone. Consequently, pet owners can’t claim that they had no reason to believe their animal would bite someone. 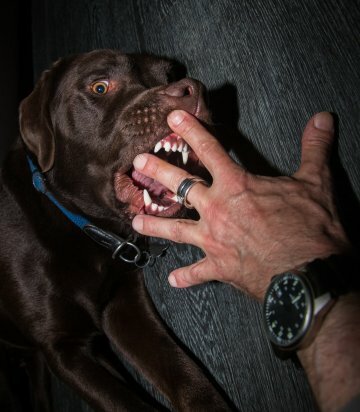 The state allows for two possible defenses to a dog bite claim according to Connecticut General Statute Section 22-357. It is important to note that Connecticut law includes a presumption against this if the victim is under 7 years old.